Let’s start the journey of exploring our product. Peanut Shell Machine spossesses the features of convenience, easy for installation, simple to maintain, high efficiency, few damage to machinery, low breakage ratio, high threshing performance, low cost, etc..It can process any varieties of peanuts. Firstly, peanuts can be put into the case A through feeding hole. The idler wheel which is equipped in it utilizes the principle of friction between peanuts to make them squeezing each other until their shells are smashed. The peanut kernels fall down from D and will be conveyed out of the exit. Secondly, the peanuts, which will be left out from the gaps of the idler wheel in the case A when it is revolving, fall down to the two-levels screen through E. The bigger peanuts stay on the upper, while the lower level keeps the smaller. With the effect of motor fan, the former enters into the case B via the pipe F to be re-shelled. Thirdly, the smaller peanuts, stay on the lower level of the screen, will be inhaled into the pipe G together with those which fall from the case B, and be shelled for the last time in the case C.
The cases of A, B, C are interlinked with each other, so, all the kernels can outflow from D. The sundries, like peduncles, can be expelled from the exit H. While the shells will be blew out of the exit on the other side. For a variety of big grain storages and processing departments, large import and export corporation in peanut products, and all kinds of small and medium peanut-processing plants, oil mill and so on. 1.For export,we usually use different packs for different products according to its size. 2.For small size,crate case is adopted. 3.For big size and heavy good,fumigation-free wooden case or pallet is offered for 20’ or 40’ container or bulk shipment. 4.Five years export experience guarantees you to get your goods safely and quickly. 1.Q: We need a peanut machine to remove the peanut shell and can you please recommend the best type of machine for this application? 2.If possible, could you pl show me a picture about the peanut? 3.What is the capacity(kg/h) you request per hour? 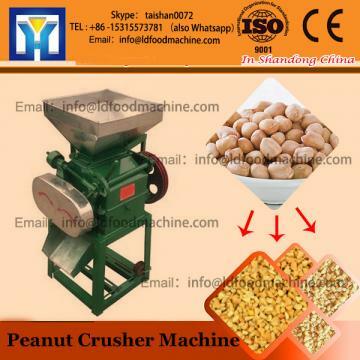 2.Q :How to install and configure the peanut machine? A: we have detailed user book for your reference. 3.Q: Do you give discounts with large quantities? A: Yes, we have such sales policy. More quantities ordered, more discounts. And it not only depends on your order quantity, but also the item you ordered. 4.Q: How about the packing of machine, can I use my own logo on packages? A: Normally we are using fumigation-free plywood case to pack machines. We can mark your own logo on the packages. And also can be neutral packing for your convenience. 5.Q: When can you deliver the machine? A: We can produce it within 15 days from receipt of 40% deposit,for e.g., it needs 15 days to the destination-Chennai port,so the total time is about 30~35 days from production to your port. For more , please contact us!